Let’s keep it simple. 4140 steel can be welded without problems as long as you follow some simple guidelines. We will not be discussing the metallurgical properties of 4140 or trying to explain what happens to its microstructure when it cools too rapidly. 4140 steel is alloyed with chromium and molybdenum, hence the term chromoly steel. The addition of these alloying elements and its relatively high carbon content (around 0.40%) provide this low-alloy steel with excellent strength to weight ratio and make it a lot stronger and harder than standard 1018 and 1020 steels. The disadvantage is the need to be more careful when welding 414, or other medium to high carbon steels for that matter, as compared to low carbon steel. When welding 4140 material it is absolutely necessary to preheat. 4140 is typically supplied in either the hardened and tempered condition (referred to as 4140HT) or in the annealed condition. For welding it is recommended that you use the latter. Welding on 4140HT is not recommended due to the high susceptibility for cracking, even when using preheat. If you must weld 4140HT it is absolutely necessary that you stress relieve the part at a temperature 15C below the original tempering temperature. Typically, if you have to weld on 4140HT you are making a repair. 4140HT should never be used for standard fabrication if possible. If you are manufacturing parts out of 4140 we can assume that it is in the annealed condition. 4140 will weld very similar to your low carbon steels. The difference is that its high carbon content can screw things up. To avoid cracking you need to preheat 4140 prior to welding. This is done to slow the cooling rate after we are done welding and avoid embrittlement, which can lead to cracking. Other publications recommend a preheat of only 350F up to 1/2″, 450F from 1/2″ to 1″, and 500F for 1″ to 2″. Keep in mind that when a part is preheated over 500F it becomes extremely uncomfortable for the welder. These lower preheat temperature are used with success, but go with the higher ones is you want to play it extra safe. The higher temperatures will produce slower cooling rates. It is important that the interpass temperature not be below the minimum preheat temperature. If more than one pass is required make sure the part is above that minimum temperature, if not, get that rose bud and heat the part. The filler metal recommended for welding 4140 steel is ER80S-D2. ER70S-2 can be used but you will be undermatching the base material. Low-hydrogen electrodes minimize the amount of diffusible hydrogen in the weld. With the elevated carbon content even low levels of hydrogen can wreck havoc. A common problem with medium to high carbon steels is their susceptibility to hydrogen-induced cracking. 3. Slow cool the part. Preheating will take care of this most times; however, using heating blankets to assure a slow cooling rate is good practice. As mentioned above, a slow cooling rate prevents or reduces embrittlement (crack sensitive area in the heat affected zone). It also allows hydrogen more time to leave the weld, thus reducing the possibility of hydrogen-induced cracking. Do you typically weld 4140 or other high carbon steel? Please include your thoughts and any tips in welding these materials. If I weld AISI 4140 with AS 3678 Gr350, what consumable I have to use for this combination and what is the preheat nad postheat temperature? Vijai, AS3678 has 22 points of carbon max, 4140 has approximately 4140,so definitely need to consider preheat. However, this depends on the the thickness of the material. Can you please provide more details? Material thickness, joint type. ER80S-D2 is typically OK, but may not be optimal depending on the application. I am trying to weld Lift lug (25 mm thick plate -AS3678 Gr350) to clump weight (725 mm dia x 725 mm height – AISI 4130 / AISI 4140). Pls advise preheat temp., weld process, type of filler to be used, PWHT reqd or not, if PWHT required than at what temp / soaking time / cooling process. Hi Rusty, to provide a more complete recommendation we need a lot more information (application/intended purpose, service conditions, joint type, etc). For now here are a few tips. First, do you need to match the strength of the 4140 casting with the weld? Otherwise you can use an ER70S-6 GMAW wire. Preheat 600-700F and slow cool. The need for PWHT depends on the final mechanical properties you need. I am trying to plug a 6mm (0.236 inches) dia hole in a tool (to repair the tool) that will be used in oil and gas application and will experience pressures upto 1378 bar (20 000 psi) at high temperatures of about 100 degree celsius. I was wondering if welding the hole will seal is off effectively and plug the hole permanently. Thanks in advance. Properly welding the hole can definitely provide a good seal. However, care must be taken. How deep is the hole? If it is too deep it may be difficult to achieve good side wall fusion. In some cases,if too deep, you may need to open up the how a bit. Also, what is the base material and how thick? Depending on the amount of carbon and thickness you may need to preheat in order to avoid excessive hardening in the heat affected zone. Also, make sure the surfaces are very clean as contaminants such as mill scale can prevent good side wall fusion. I would like to run a PQR for AISI 4145 to AISI 4145. kindly advise me which electrode can be used to weld this PQR so that it meets the minimum tensile strength requirement and Bend test requirement as per ASME Sec IX. This material is being used as per API 5D for drilling tools. The actual scenario is that weld build up / buttering to be done after the removal of existing hard banding on a drill tool. AISI 4145 is considered an unlisted material so it has not group number assigned. Qualification will need to be done by testing. The UTS of AISI is 135ksi. The question is: do you need to match the tensile strength of the base metal for this application or are you using this material for its hardness. This is typically the case for tools that have to resist abrasion. AISI 4145 is used extensively on down hole drilling tools such as drill collars due to its high carbon content which in turns provides excellent hardenability. Since you will have to qualify by testing it is important to understand the requirements. In many cases similar materials are welded with 110Ksi filler and with dilution the test results creep into the 120’s. under Workshop and Design Information. Magnificent issues in this article. I’m able to see your content. Thanks a ton with this particular taking a look to make contact with you actually. Will you generously decline us a send? I’m making an angle plate for machine shop use. I’d like to add a brace, as most angle plates have them. I’m using 4140 as I have some around, and the hardness is helpful for wear resistance. The strength isn’t particularly important. It’ll be around 7/8″ thick when welded. I’m not sure what I’ll use for the brace, maybe more 4140, maybe 1018 or similar, not sure on thickness either – 1/2″ minimum, but I might go thicker. This is all being done in a home shop, and I don’t have a torch big enough to reasonably preheat. The best option that I can think of is to tack it up, throw it in my oven (which I think is good for a little over 500F) for a while, run a single 7018 bead down each side using 1/8″ rod (I don’t have a machine that’ll run bigger), and bury it in dry sand. After welding I’ll machine it to final dimensions (3/4″ thick for the L shape part). If I get it up to 500F, how likely is it to crack? How about if I just weld it at room temperature, is cracking likely in that case? Hello Daniel, the process you are describing sounds good. It’s better than how it is being welded in some shops we visit. Preheating to 400-500F with your oven, welding with 7018 then slow cooling by burying in sand should take care of problems associated with cracking due to embrittlement in the HAZ. The reason we preheat is to have a very slow cooling rate which avoids, or minimizes, the formation of martensite. See the post on hydrogen induced cracking for more information: Preventing Hydrogen Induced Cracking and Factors Influencing Hydrogen Induced Cracking. We do not recommend welding without preheat, but it is theoretically possible if you use an extremely high heat input when welding, typically this can only be achieved with submerged arc welding. You would be nowhere near with a 1/8″stick electrode. The E7018 is a good choice for filler in this case. We would suggest using A1018 for the braces as you mentioned. Good luck. Can you weld with ER70s-6 ??? You can, provided you don’t need to match the strength of 4140. Hi, I am welding AISI4140 block to a 6mm thickness ASTM A588 rectangular hollow. May I know what kind of electrode shall I use? And is that OK if I preheat it to 500F? ASTM A588 is a Group II base metal according to AWS D1.1. Filler metal for matching strength would be any low hydrogen stick electrode (E7015, E7016, E7018, E7028), any F7XX flux-cored electrode. For GMAW use ER70S-X (ER70S-3 or -6) electrode. GTAW use ER70S-2. 500F preheat should be plenty. Recommended preheat is 400-500F for AISI 4140 up to 12mm in thickness. Are there any special requirement? What is the application? Answers to these questions may allows us to be more specific with process and filler metal. You definitely need to preheat. For 4″ thick material go at least 650-700F if possible. Make sure your interpass temperature is at least 650F as well. If you cannot get it that hot try to slow the cooling rate down by throwing a heat blanket or bury in sand. Fast cooling rates may cause cracking. Even though this is for build up and not joining the same rules still apply. Low-hydrogen electrodes are necessary so 7018MR should work. Are there any other specific requirements for this deposit? i want to weld two 1045 part together. can any give me information? ASTM 1045 has a high carbon content(around 0.43 – 0.50%). Preheating, maintaining interpass temperature and slow cooling 1045 is necessary. The use of a low hydrogen process will help prevent hydrogen induced cracking. For more information ready Factors Influencing Hydrogen Induced Cracking. WE ARE GOING FOR CONDUCT A PROCEDURE FOR AISI 4145 TO AISI 4140 ( L80) AND 4145 TO A36/ 4140 TO A36. WHICH WELDING ELECTRODE WE CAN USE FOR THIS PROCESS. E10018 OR E12018-H is Possible Please advise. What are the requirements of the weld in terms of mechanical properties (tensile/yield strength, elongation, etc)? This affects filler metal selection. AISI 4145 has a tensile strength ranging from 94 to 128 Ksi (650 – 880 MPa). In most cases you don’t need to match the strength. If you are welding 4145 to 4145 and needed to match the strength of the base material then E12018-H would be a good choice. Remember to preheat and slow cool adequately to avoid cracking. When joining to metals with lower tensile strength (like 4140 and A36) you only need to match the strength of the weaker base metal. So welding A36 to 4140 can be done with a E7018. For 4145 to 4140 you can use E12018, but keep in mind 4140 may have a tensile strength as low 94 Ksi, in which case E10018 would suffice. You need to know if the material is cold drawn or if it has been heat treated. hi dear please advise about PWHT, We are going conducting PQR 4145 X4140 PIPE, 4145X A36 AND 4140X A36 its all required pwht on the test coupon waht si temp. When performing the Procedure Qualification Record you should use preheat and PWHT if that is what the base material needs. In this case you do need to preheat and PWHT according to what you expect to run in production. Remember that the qualification process is making sure that what will be done in production works, so your WPS must be based on the procedure used for your PQR. 4140 and 4145 typically don’t require PWHT other than simply slow cooling, but this may depend on the final properties you want out of your welded material. 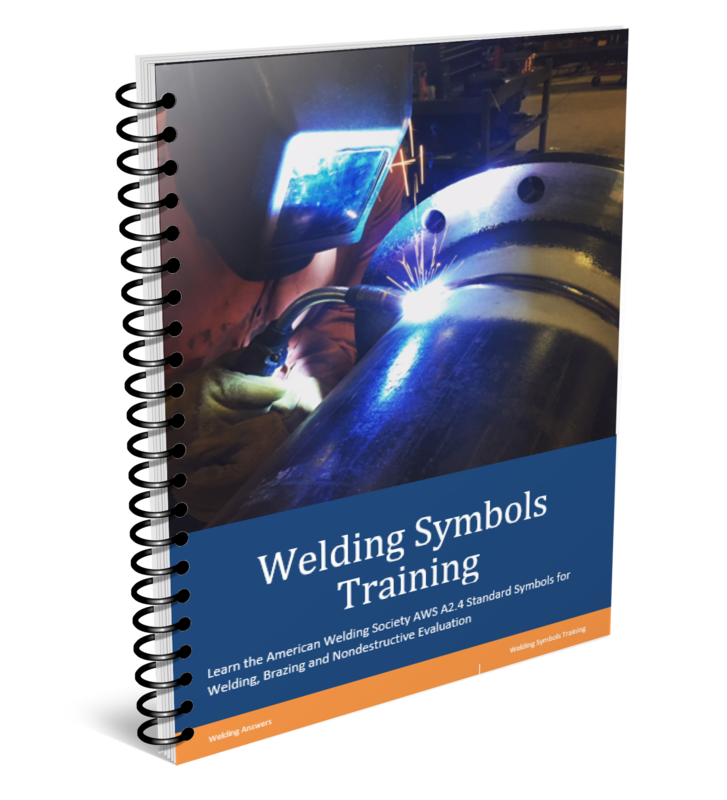 The Procedure Handbook for Arc Welding suggests using a preheat of 400-500F for thickness up to 1/2 inch and 600-700F for thickness of 1/2 inch to 2 inches. If this weld requires multiple passes make sure your interpass temperature is the same (minimum) as your preheat. I need to weld 1020 to 1045 and 4140. I need to know about elctrode,preheat and welding condition. What is the thickness of each of these materials? What welding process will you be using (GMAW,GTAW,SMAW,etc.)? 1045 and 4140 will definitely need preheat and slow cooling, but the actual temperature depends on material thickness. For additional information on hydrogen induced cracking read: Factors Influencing Hydrogen Induced Cracking and Preventing Hydrogen Induced Cracking. I am looking to create a strong and cosmetically attractive weld joining a forged hammer head to a forged handle. The material is 4140. 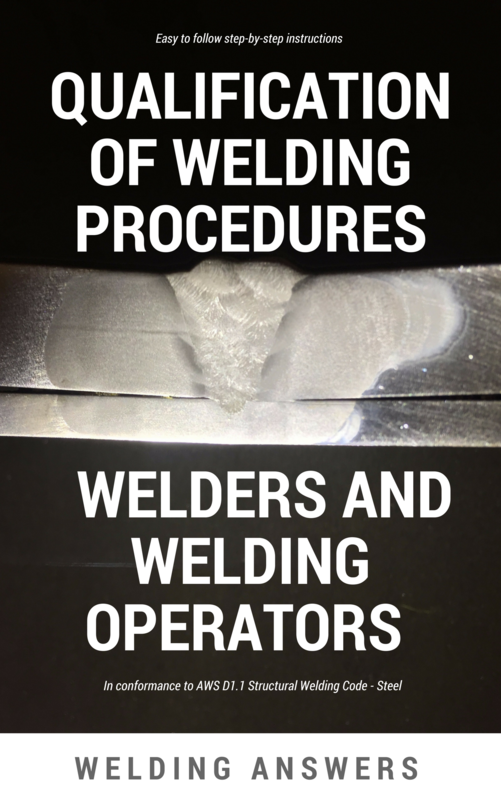 I will ultimately want to automate the weld process, but for the first articles I am planning to hand weld in order to fully understand the process that creates the best weld result. I will be post heat treating the assemblies to eliminate stresses from forging and to force a RC40-45 hardness. Question is, given the post heat treatment, must I pre-heat the components prior to welding? If so, do you have any recommendations for the best way to achieve this? I am thinking a hand torch with temp indicating chalk until the process is measured, and then using timed torch application when automated. Also, would yo uall recommend MIG or TIG? I feel that MIG will be most straightforward for automating and easier for a novice like me to achieve a cosmetic result. Sorry for long winded question! I appreciate any and all replies. Hi Ben, good question. Regardless of whether you will be doing any postweld heat treatement you will need to preheat the material. We preheat 4140 and other medium to high carbon steels to slow down the cooling rate. This in turn reduces the formation of martensite with which is very hard and brittle. The slow cooling rate also helps in reducing susceptibility ot hydrogen cracking. You can use different methods to preheat – put parts in an oven or furnace, use induction heating or use as torch as you describe (oxygen with propane or acetylen works great). We always want to measure the temperature at least 1 inche away from the joint in ALL directions. If the thickness of the material is over 1 inch then take the temperature reading at a distance equal to the thickness of the material. If you are welding on a small hammer it shouldn’t take long to preheat the entire part – this will certainly give you a very slow cooling rate and eliminate a lot of issues. Both MIG and TIG are good processes to use. TIG welding usually has a higher overall heat input due to how slow it is compared to MIG. Higher heat input means slower cooling rate. However, since you’ll be preheating this is not a concern. TIG will have a better cosmetic appearnce but you can certainly make great looking welds with MIG, especially if you end up automating the process. Hope this helps and good luck! Can a 4140 HT pipe test be successful if preheated to 400 degrees F with 17 to 19 volts for the root and 17 to 21 for the balance using GMAW .035 ER80SD2 wire. Interpass temperature 600 degrees F and 1 hour post heat of 1125 degrees F? Pipe is 1 inch thick with backing. 60 degrees V groove. Hello Victor. Welding 4140HT is not recommended by the manufacturers of this steel and by many who have done it in the field. There are a few things to consider. When you weld on 4140HT you will be annealing the the material near the weld (HAZ), so your end product will not be what the base material is (different microstructure). You will have a significant variation in harndess and ductility. If you absolutely have to weld on 4140HT you need to do post weld heat treatment of the weldment to relieve the stresses as you mentioned in your comment along with the recommended preheat and interpass temperature based on material thickiness. Check with the manufacturer of the steel regarding the actual temperature range needed for stress relieving. Also, the cooling rate must be controlled. Keep in mind that if you have the ability to PWHT then there should be no reason why you can’t anneal the part prior to welding, and then PWHT to bring back to the hardened condition. Thus avoiding the high susceptibility to cracking when welding in the hardened condition. 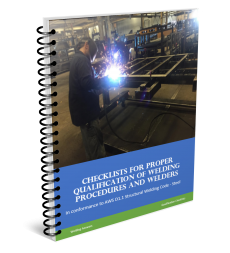 Like anything else, our recommendation is to qualify your welding procedure. You can weld and PWHT exactly as you describe. Perform tensile and harndess tests in weld metal, HAZ and beyond the HAZ as well as any other tests required by the code or standard you are following. Make sure the properties you require can be achieved with your procedure. Hi guys I’m planning on making a set of dies for my power hammer. My idea is to weld 1 1/2″ 4140 annealed solid round bar to 3/8″ 1018 flat bar. I have an inverter type welder and was planning on making several passes with e7018 1/8″. Preheat to 400 and stress relieve at 1150 for 30 minutes and then heat treat. I was wondering about 7024 because it’s supposed to lay down material quickly or maybe 8018 or whatever you suggest I’m just concerned with the impact it will be exposed to. We would advice against using the 7024 as it is not a low hydrogen electrode. Increased hydrogen in the deposited weld metal can lead to cracking (hydrogen induced cracking). Using an E8018 does no provide additional benefits compared to E7018 since you only need to match the 1018 steel. There is nothing wrong running the E8018, it’s just not necessary. In your case where you are concerned about resistance to cracking due to impact you need toughness rather than strength (tensile strength). Keeping harness levels down will help. 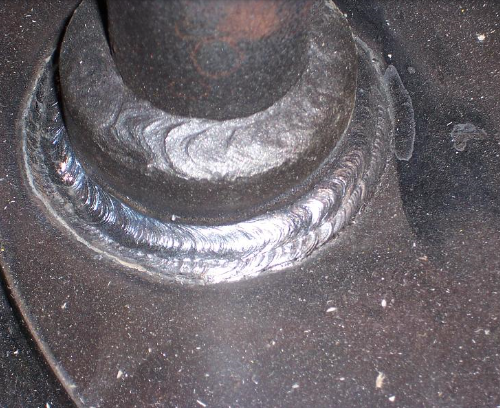 Your post weld heat treatment should take care of that. Thanks a lot guys I appreciate the help. I’m used to using 7018 so that will work out perfectly. what kind of electrode used, how much Temperature of preheating and the heat treatment required? You can use an E8018-B2 SMAW electrode to match the base material. We sent you some more details via email for you to check out. if i wish to weld a used AISI 4140 shaft, whereby the journal has been worn down by approx 1 mm. what should my welding procedure be ? undercut how many mm down, pre heat and weld with ER80s as per the steps above to welding of AISI 4140? Yes, follow the recommendations on this post for preheat, interpass and PWHT. The main difference is that in this case you will want to match the mechanical properties of the shaft with your choice of wire. Is the 4140 in the annealed condition? Is it quenched and tempered? Welding on it will change its properties. You may need specific PWHT to bring those back to the desired state. The blankets wrap around the part that has been welded trapping heat that would be lost. Instead of the part cooling in ambient air (say 70F) it is now cooling in air that has been trapped by the blanket, which is at a significantly higher temperature. The heating blanket acts as insulation. As you stated, heat from the weldment is lost by conduction (transfer of heat between substances in contact – metal and air). The rate of heat transfer depends on the temperature of both substances. If the part is at 500F and the air is at 70F the cooling rate of the part will be higher than if the air was at 150F. The blanket traps the air that originally may have been at 70F and because air cannot escape easily the air surrounding the part increases in temperature, thus reducing the cooling rate. I am making an attempt to weld 4140 prehard material. I’m experiencing some cracking. What I did was groove it out. Did a per heat of 500 degrees, and let it soak in the oven for about 3 hours. I was told to use stainless rod. As soon as I do a small pass, I can hear it crack. Any advice would be helpful thanks. Hello Scott, could you provide a bit more detail? Are you welding the 4140 to repair an area that is worn or are you joining two pieces together? How thick is the material you are welding? Also, you mentioned you soak in the oven for 3 hours, this is after welding, correct? What is the purpose of using stainless filler rather than a mild still filler such as ER80S-D2? It appears you are following the correct guidelines. Assuming the preheat is to the right temperature and you are slow cooling properly the issue could be with the 4140. You mentioned it is prehard – we’re assuming this means it is quenched and tempered. This makes 4140 extremely susceptible to cracking even when following adequate procedures. The recommendation here would be to first anneal the part, then run your welding procedure (preheat, weld, slow cool) and then do post weld heat treatment to attain the desired results. what would you recommend for welding two 4140 metal sheets of 120 mm thickness together? High preheat, around 650-700F, use a low-hydrogen filler metal (ER80S-D2 for GMAW is generally used unless you need to the match the exact characteristics of the 4140), slow cool. Since you will probably be doing multiple passes make sure your interpass temperature stays at a minimum of 650F. Is the 4140 in the annealed condition? “soft” arc which does not dig very well. A better option would be a 6010 electrode. Of course, the best alternative is to grind off the zinc plating before welding. Welding will remove the corrosion resistant properties of the zinc coating anyway, so might as well get a good weld. I have an application where I might need to weld 4″ diameter round stock to a piece of 2-1/4″ thick ASTM 514 grade E. We have to do a CJP weld so the 514 plate will have the weld prep for welding the round into a slot cut in it. the preheat temp for the 4140 is actually higher than the allowable interpass temp for the A514. I wasn’t sure if there were any suggestion as how to accomplish this. Also there is a possibility that the 4140 is HT, it says it requires post weld heat treat but the 514 has a disclaimer on the cert. that recommends against any post weld heat treat. Thoughts? Jason, this is a very tricky situation. Normally the answer to preheat is that the amount of preheat used is that required by the thickest member (or member that requires higher preheat). In this case the 4140 will a higher preheat required. However, A514 is a quenched and tempered steel. You will be affecting its properties. More preheat means slower cooling rate which may increase ductility but reduce hardness and strength. To properly answer this question we need to understand the service requirements of the A514 in terms of hardness, toughness, strength and ductility. Post weld heat treat is discouraged on A514 because you will be destroying its properties. Perhaps a better words is “change” its properties. If you PWHT you will end up changing the A514 as described above. first of all thanks lot for your detailed information on the 4140 welding, really helps lot! I am using AMSE IX spec to qualify the WPS on fillet weld on pipes, material is 4140. base metal -1: ID-3.38″ x OD-3.95, Base Metal-2: ID-3.61″ x OD-3.76″. As we need to maintain the hardness range below 22 HRC, could you please advise me further on the requirement of post weld and other essentials like tips to follow. In-addition to the above, we are using GMAW to weld on pipes. 4140 which has not been hardened usually has 13 HRC. To harden you must austenetize at 1570F [855C] followed quenching in oil. This will give you way more than the desired 22 HRC. You will then need to temper it after quenching to achieve 22 HRC. Tempering requires you reheat the structure. Reheating to 400F will provide almost full hardness. Heating to 1000F will get you close to 30HRC. The cooling rate is very important. You will need to consult with a metallurgist or review the ASM Heat Treater’s Guide for holding times and specific temperature to achiever 22HRC. Hi Great and it helps a lot! Hello every couple of months I mig weld a threaded cap onto a cylinder tube made of 4140 Q&T i believe. The cap is made of the same material, the total diameter is around 8″, the thickness is around 1″. I weld a v-groove thats less then an inch wide, and a little less then an inch deep. I was told to use er100s-g, preheat, and slow cool with a blanket. Ive been having great luck with this setup, except for small pitting at times, which i am able to usually grind out and re-weld without many issues. Also these cylinders are lifting 150 tons around 10,000psi. I noticed you guys recommend er80s-d2. Any reason I should switch to that over the er100s-g if I’m having luck with it? Any additional info would be great, thanks! Hello John. If the ER100S-G is working for you then stick with it. When we get into this high strength steels it is useful to consider the use of undermatching filler metals. One instance where you definitely want to match the strength is if you are making a complete joint penetration (CJP) weld and which will be loaded in tension. I believe what you are describing is groove weld which may or may not be CJP. One of the main reasons for undermatching is to reduce residual stresses, the 80S-D2 will have higher ductility than the 100S-G. You compensate for the lower strength (if necessary) by increasing the fillet weld size or by increasing the weld size in partial joint penetration (PJP) welds. If doing a CJP you cannot increase the size so you would use the matching filler metal. So keep using the ER100S-G! I have an annealed block of 4140 that I want to use as a riser block Hardy on my anvil. The block is 2″ thick, 3″ x 3″ sq. I need to wire weld the 1018 dim. 1″ x 1″ x 4″ post which will enter the anvils Hardy hole. I don’t have a way to measure 650-700 deg. My plan is to build a coal fire in the forge. Place the assembled block of 4140/1018 hardy post in the fire and see the colors. When the block reaches gray, I will assume it is hot enough to weld. The assy. will be placed on a steel plate next to the fire. Then, using the wire welder, weld the 4 sides of the hardy post. To cool the welded assy. it will be located at the edge of the hot coals where it can slowly cool for an hour. Do you see any problems or a way it can be welded better. Paul, this seems perfectly acceptable. It is a great benefit that the 4140 is annealed rather than hardened. The 600-700F is ideal but in practice, as in your case, it is not always feasible to heat to this temperature. It is advisable to measure the temperature just to make sure you don’t exceed the critical temperature. You can use temple sticks which will tell you if you go above a certain temperature. You can use an ER80S-D2 wire to make this weld. You can even go with an ER70S-6. Do not use a 4140 wire. The slow cooling as you describe is good. Let us know if you have any additional questions. I am setting two procedures: 4140 to 4140 and 4140 to SA 516-70 I am using the FCAW process. Will this procedure cover 4130 as well? What criteria was used to select the E101T1-K3C flux cored filler metal? 4140 (depending on its condition – annealed, quenched and tempered, etc.) can have extremely high tensile strength. 4140 selected for welding would have a minimum tensile strength of about 90ksi. If this is the case you will be overmatching which is not necessarily good when we’re dealing with this type of material. The higher the tensile strength the lower the ductility. If the joint is highly restrained you may run into cracking issue. 4140 can be welded to 4140 with undermatching filler metals such as ER70S-6 or ER80S-D2 (or equivalent flux-cored wires) provide the application does not require full strength. If you require complete joint penetration welds then matching filler metal is suggested. But for partial joint penetration groove welds or fillet welds it is recommended to go with an undermatching filler metal and gain additional strength by increasing the size of the weld (this keeps your ductility high). Another point to keep in mind. Although SA 516-70 may not require preheat (it does after a certain thickness) you still have to preheat it. Since you are joining it to the 4140 it will act as a heat sink and will accelerate the cooling rate of the 4140 if its not preheated. One last thing. The SA516-70 has a minimum specified tensile strength of 70-90ksi. The E101T1 is overmatching this. When welding 4140 to a lower tensile strength steel it does not add any strength to the connection to match the higher strength metal (in cjp’s). It actually has a detrimental effect by having less ductility than if a lower tensile strength filler was used.